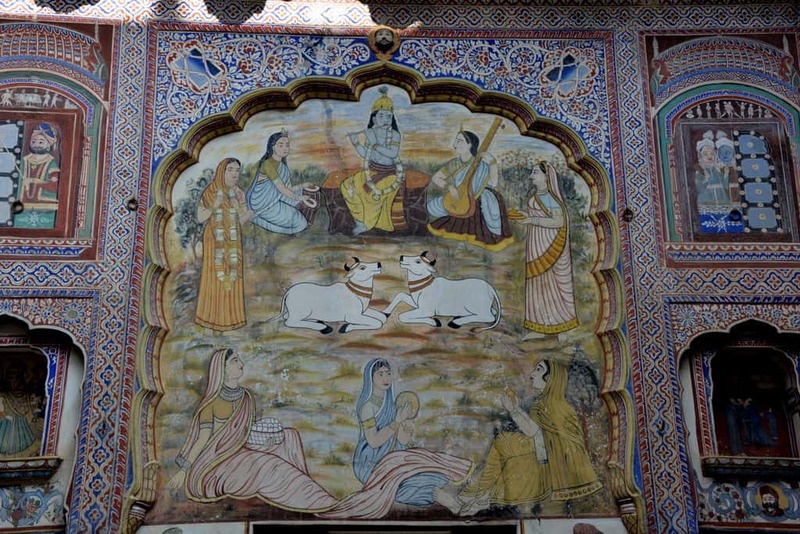 Shekhawati region is known for its rich fresco painted haveli’s and we thoroughly enjoyed our outing in the region. Although the roads in Rajasthan are pretty good, some patches are not as nice. We faced one of these patches while travelling from Ajmer towards Nawalgarh. Out of a total distance of 225kms, about 1/3rd of it was pretty bumpy. 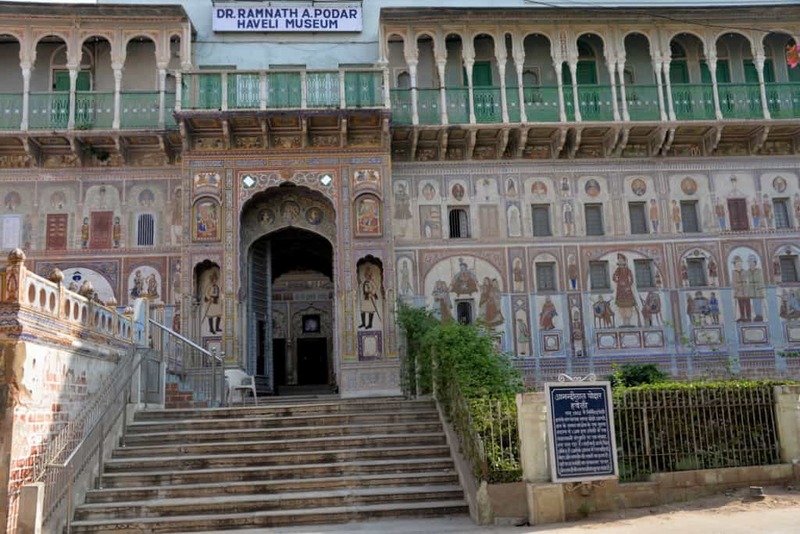 After visiting the Dargah and Soni ji Ki Nasiyan in Ajmer, we headed towards Shekhawati and reached Nawalgarh in approximately 5 and 1/2 hours. We were approaching Nawalgarh about lunch time and called in a few places to check out the menus. 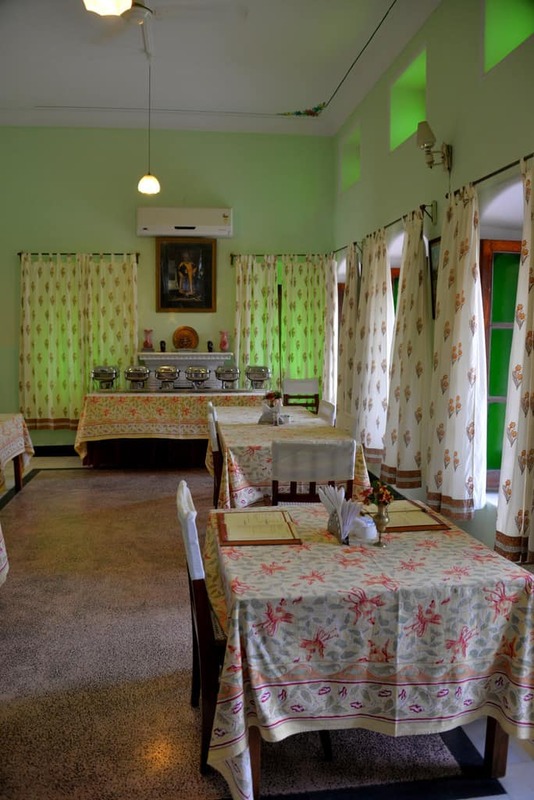 We finally decided on Roop Nivas Kothi which is just next to Club Mahindra, Nawalgarh (if you are searching on GPS, its better to search for Club Mahindra as the kothi was shown a bit far from its actual location). 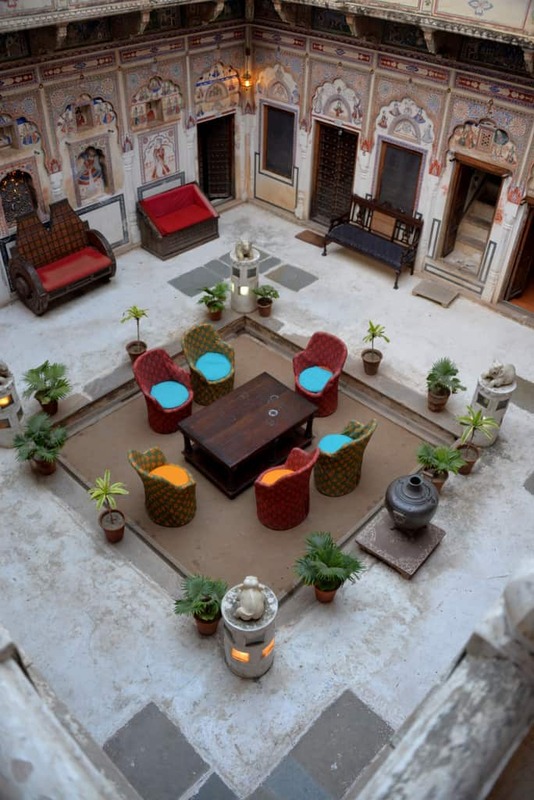 This place is an old haveli converted into a hotel (just like many other in the region) and the restaurant is an old dining hall serving freshly made traditional Rajasthani dishes along with the regular fare. We had Laal Maas, Gatte and Roti for lunch and spent about an hour relaxing after the rough ride. 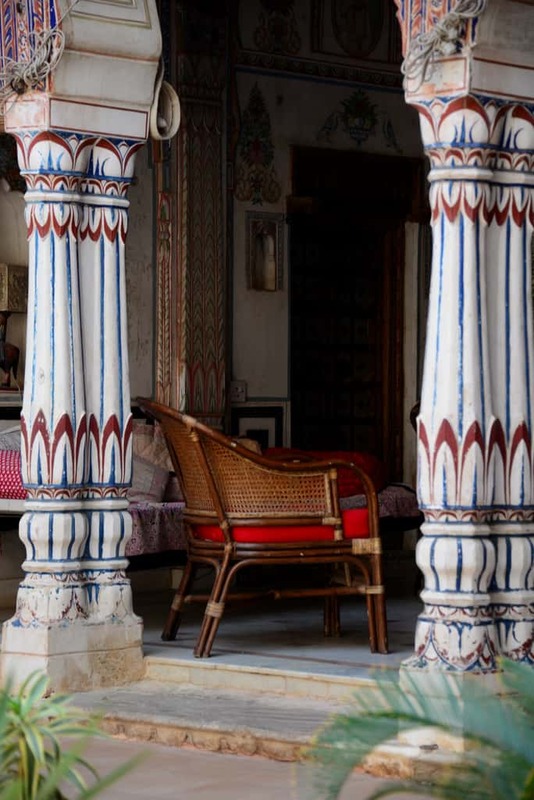 After relaxing for a while, we first headed just down the road to Poddar Haveli. 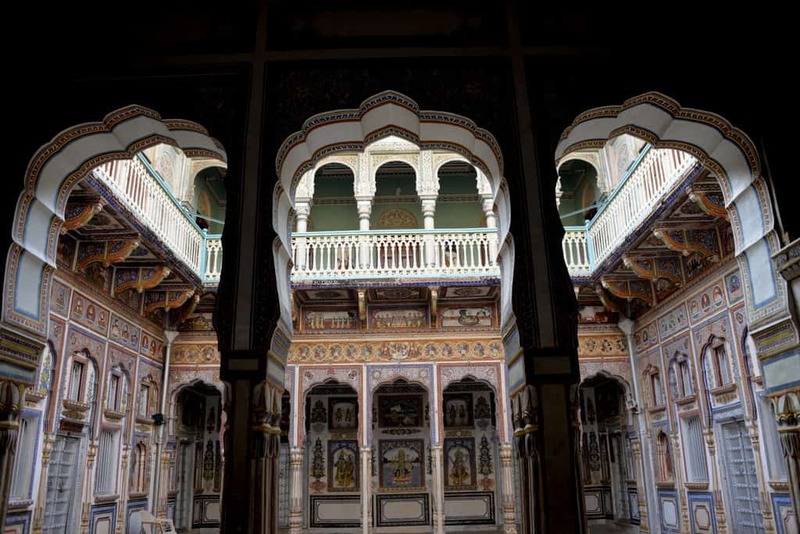 Poddar Haveli is one of the best haveli’s in the region and we were shown around by Mr. Sunil Sharma who is one of the caretaker of this haveli. He was kind enough to explain the old traditions, architecture and the way it was built. He took us through each of the rooms displaying different traditional themes and gave us an in depth explanation of each and everything which made the visit very interesting. 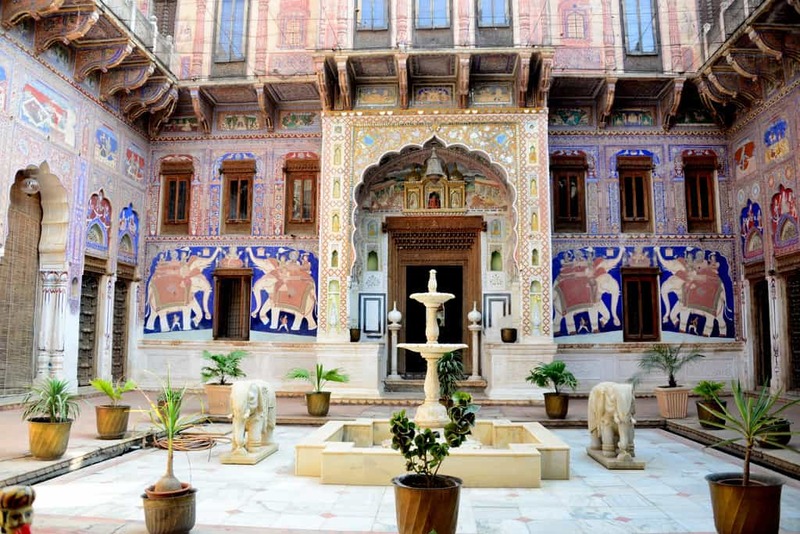 If you coming to this region, do not miss visiting Poddar Haveli, we absolutely loved it. A few kilometers of drive from Navalgarh, we next visited the Goenka Haveli in Dundlod, which has been converted to a museum. 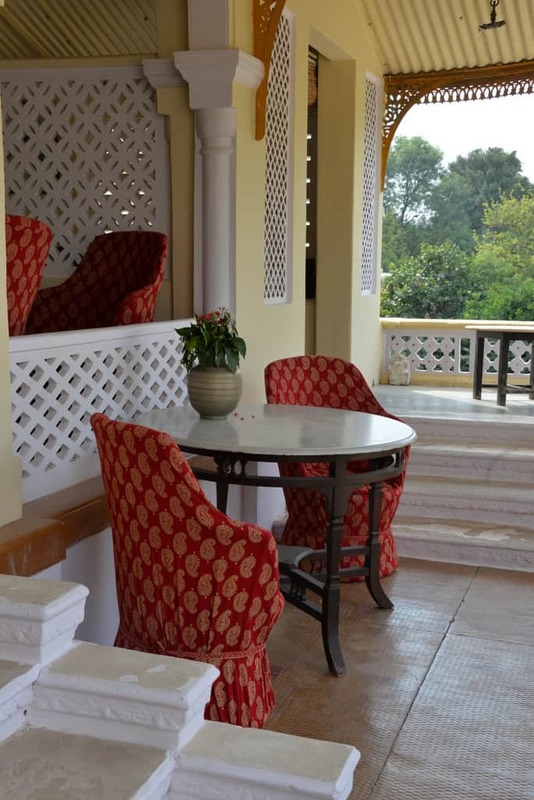 Our next stop was Mandawa, where we were booked into Mandawa Haveli, a beautifully restored haveli and turned into a luxury holiday resort. 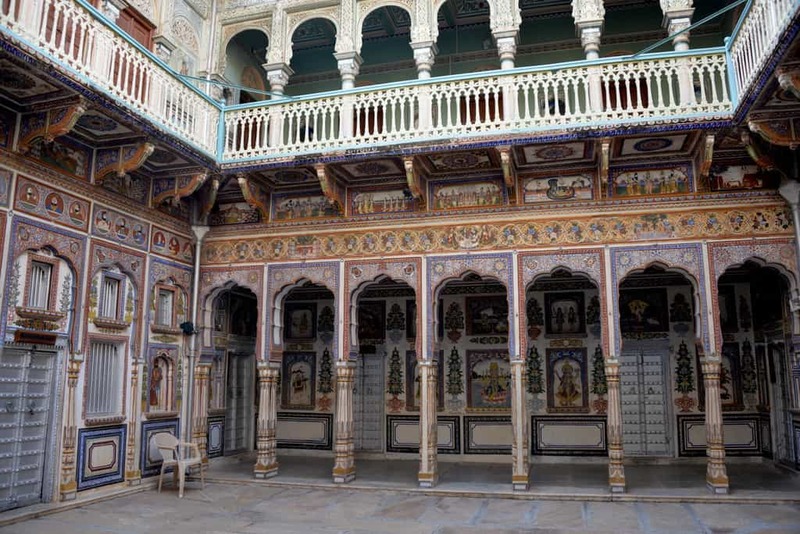 While in Mandawa we visited Sneh Lal Ladia Haveli (which is a good place to shop for antiques) and Jhunjhunu Haveli. You can also take a local guide to take you through the town. 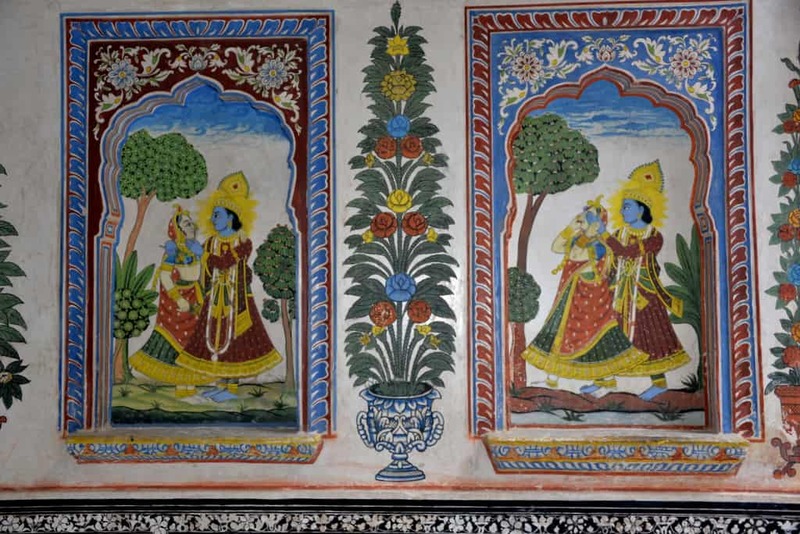 After spending a great night in Mandawa Haveli and a filling breakfast we took for Bikaner, stopping in Fatehpur to look into Nadine Le Prince haveli (a bit pricy for its entrance ticket). 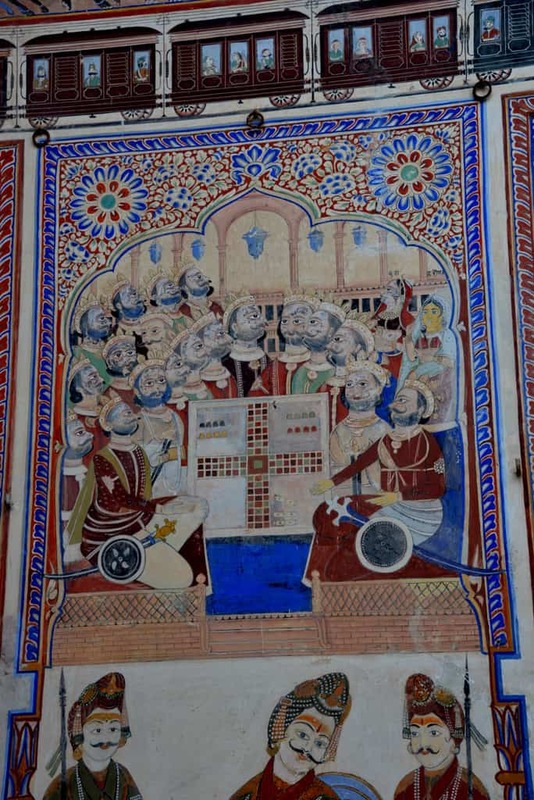 We headed towards Bikaner from here. Post coming up soon. Fabulous! 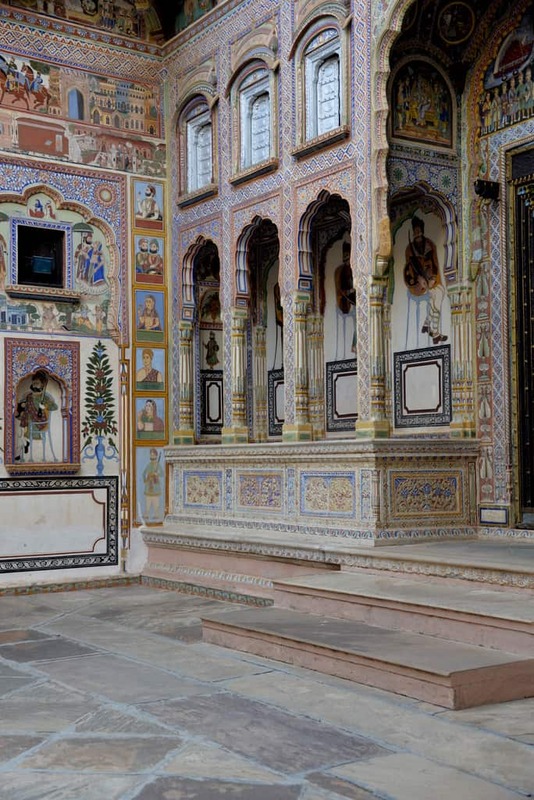 Rajasthan is truly fascinating in many ways – nature, art, architecture and tradition. 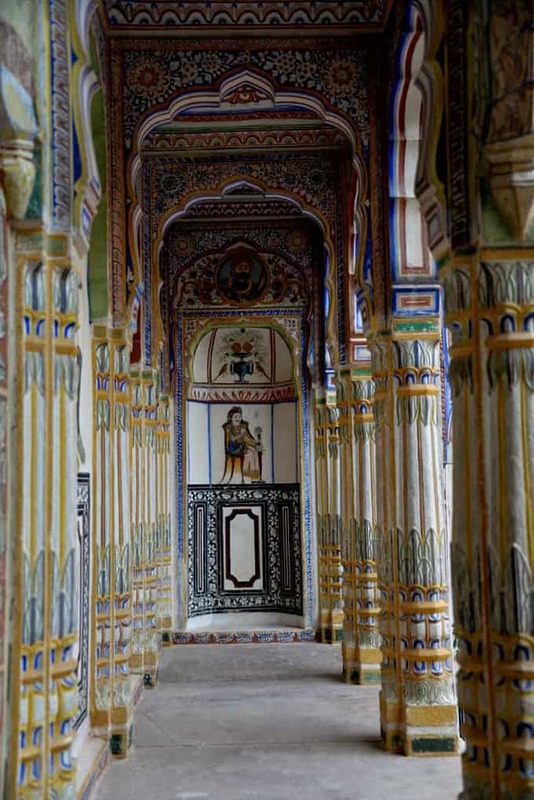 Next time I visit Rajasthan I must travel to Shekhawati Region. Thank you for this wonderful post. 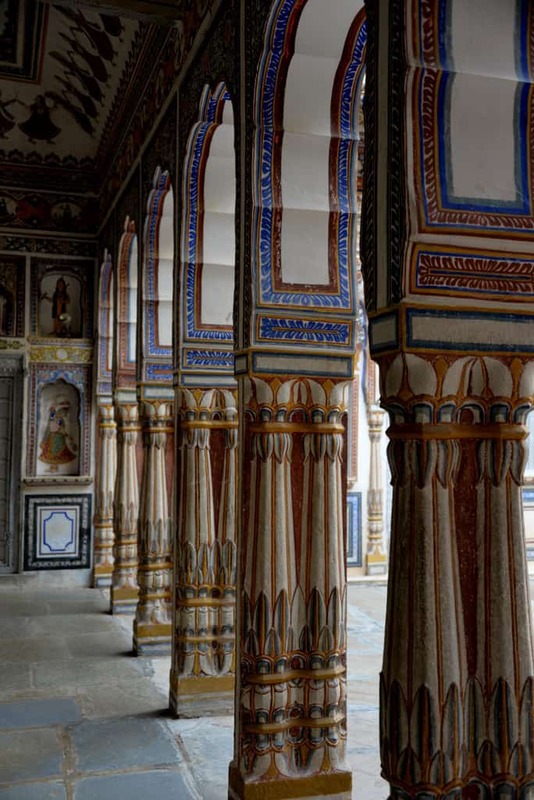 You can check out my take on Rajasthan http://footlooseforever.com/2014/12/30/amer-fort-the-melting-pot-of-rajasthans-heritage-art-and-architecture/.